"Hotel is clean, staff is very friendly and helpful, very goo..."
Have a question for Novum Hotel Lichtburg am Kurfuerstendamm? "My room was clear, quiet and comfortable." "It is good located, not far from U-bahn station, with good connectivity to the other parts of Berlin to visit." "Really good location - about 30-40 minutes from the airport"
"Cleanliness was good, front desk was friendly." Right near Kurfuerstendamm, this immaculate hotel is both well located and, best of all, very affordable for leisure and business travelers to the area. An excellent value for the buck, limitless buffet dining, a clean and sunny restaurant area with dark-wood furniture and friendly hospitality, and brilliant transportation to just about anywhere in the city can all be found at Novum Hotel Lichtburg am Kurfuerstendamm. You can also get around on foot. Within walking distance of the Kurfuerstendamm, you won’t have a problem getting around to all the many shops and restaurants in the area. And don’t be afraid to ask about things to do, because the staff speaks great English and are ready to accommodate. 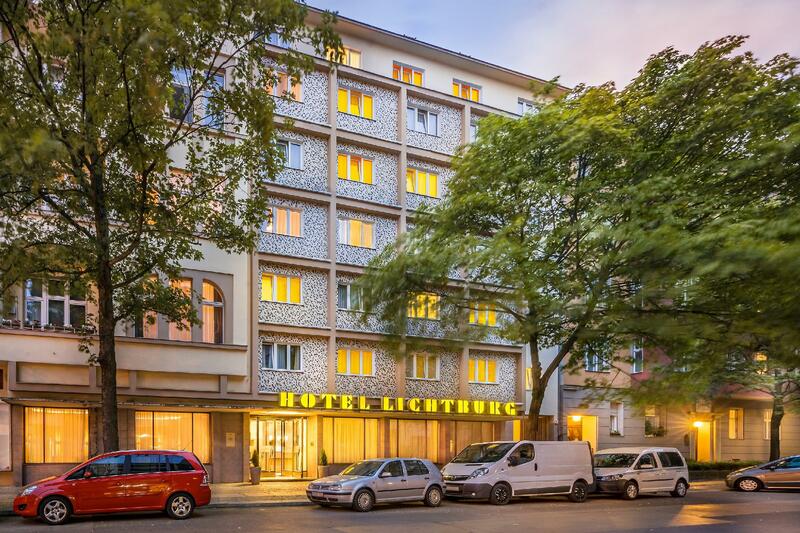 Clean, reliable, friendly, and excellently located, Novum Hotel Lichtburg am Kurfuerstendamm is perfect for those interested in good value hotels. "We took my partners parents to Berlin to "see the world" and..."
I know it was inexpensive but believe it was really a "cheap" property. Carpets sticky with god knows what. Bed sheets had stains on it. Hardly stayed there for a night and left. such a horrible exprience. We took my partners parents to Berlin to "see the world" and I found this nice hotel in a very good price. It is good located, not far from U-bahn station, with good connectivity to the other parts of Berlin to visit. The room looks exactly same as the picture shown. However, there are rooms that have the smell of cigarette. Let the hotel know if you are want non-smoking room. Great location and next to U bahn 7. Almost an hour from Schoneld airport. The Hotel is well located near Adenauer Platz and Charlotemburg DB Station. The room was pretty good, very clean and spacious. The bathroom was clean and and neat. The breakfast was excellent, plenty of fruits, bread, juices, charcuterie, cheeses, yoghurt and different types of muslix as you can expect in a german Hotel. The only complaint was that the lady's WC in the coffee room was broken. But rather than this I will definitely recommend this Hotel if you plan to go to Berlin. We booked room for triple occupancy. Room was clean and spacious however, beds made noise when you move while sleeping. Shower area is a bit tight but manageable. Reception staff was very helpful. One of us was not well and they helped us with the kitchen stuff at odd times. It is a good deal. It was totally fine. The room was similar to the pictures, the cleaning was good, the bed was comfortable. The location was good it was close to the u-bahn and there is some restaurants just around the corner. In general it was a good experience. Need to put more attention to cleaning the bathrooms. Also bigger NO SMOKING signs, or make a point that smoking in the rooms is not allowed? as people kept on smoking in the rooms. I complained about it and the front desk clerk took care of this matter, right away. The room is big but the facility is not very new. No fridge. If you a late night place to crash . This will do the job. It’s basic and clean. Bed was only comfortable sing the duvet as a topper otherwise you feel the springs. The hotel was in good location and clean! I stayed there on 1 Jan 201 7 which was full with dissappointed. I booked 2 rooms for my and my children (4 of us). In order to get more space, I specifically booked the room with Sofa which was slightly more expensive compare to the one without sofa. I strongly requested a non smoking room and it was confirmed by the hotel in written. Upon arrival, the staff was so unfriendly. The heater in the room were not working, so, we slept in a very cold room during winter... I got 1 room with sofa (according to what I booked) but not the other one, the other one was smaller with the excuse of no rooms available due to fully booked but then, when we insisted, we finally get the room that we paid. Rooms were with strong smell of smoke. No point to complaint to the rude unfriendly staff. It was a horrible stay we have. Lucky we stay there only for 2 nights which a whole day we finally spent our time outside the hotel IN COLD...... Absolutely, we will never come back to this hotel. You can see that hotel is old. We got it cheap, so that was ok, but overall a bit disappointing. There was'nt fridge and you walls were very thin, you could hear everything. Reception lady was kinda emotionless...But location was very good. Breakfast is good, location is pretty good enough, network is smooth. Pretty much everything to offer at the price point. Only a few points like I have to iron my clothes beneath the stairway in a public place, and there's no hot water in the room, have to ask for it on the counter. But again it's ok comparing to the price.